Have you ever considered the mom who packed a lunch of 5 loaves and 2 fishes? A boy brought this simple lunch to Jesus when no other food was to be found and our Lord multiplied the offering to feed thousands! (John 6) The Scripture does not mention his mother, yet she may likely have been the one who thought ahead to the day's needs and sent her son off with some food. We can learn from the many examples of women (not just moms) in Scripture who were thinking ahead and caring for those in their charge...and how simple offerings can go a long way with the Lord's provision. There is much that could be said on these verses, but today is just a practical way to prepare ahead and store some loaves for a future day. Albeit they are not loaves, but cookies. And though not as nutritious as bread, they taste great and may help you out in a pinch. 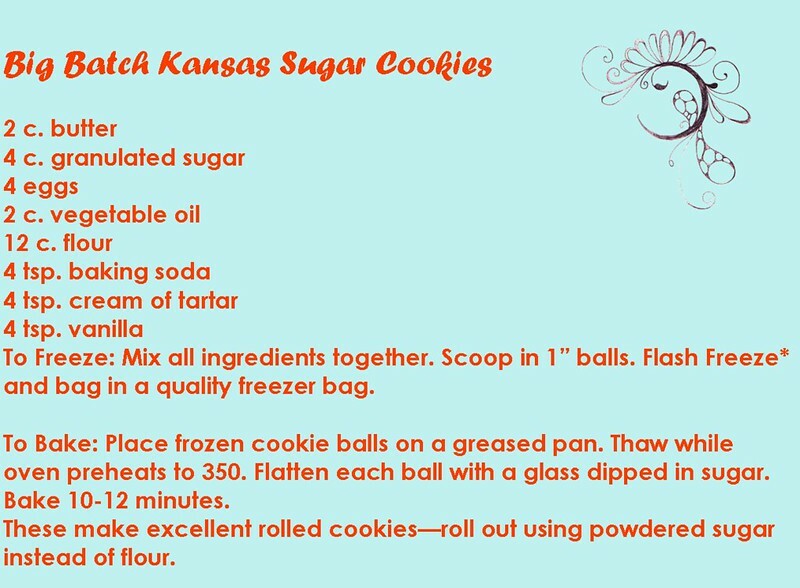 The following is a Big Batch Cookie Plan consisting of 5 batches of bulk cookie mix. 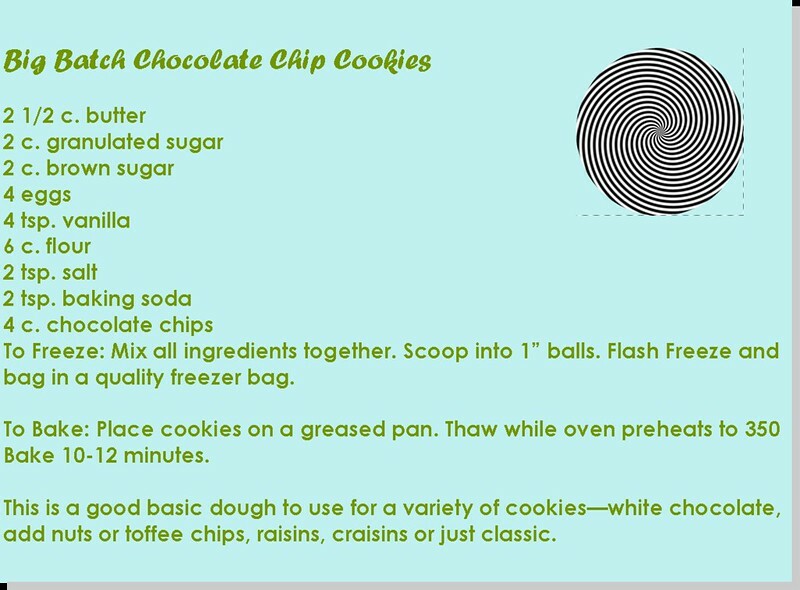 Each recipe below makes approximately 12 dozen cookies combining for a whopping 60 dozen cookies, if you do them all in one session. Of course you can try any number of the recipes. If you prepare them all at once, it will take you the greater part of an afternoon. Why on earth would anyone want to do that, you ask? 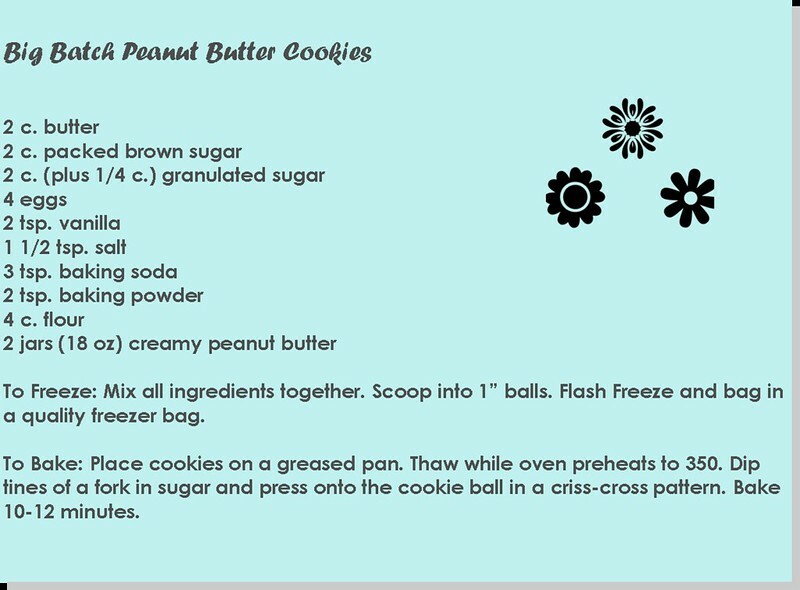 They are great to have on hand when unexpected guests drop in, or when you need a quick option to take to a pot-luck or holiday gathering, or to share and give away. Many of you have households with growing children to feed. If these reasons aren't enough, let me add a category all their own...teenage.boys. If you have one, you will understand! These cookies will keep for up to 6 months when stored in quality freezer bags. 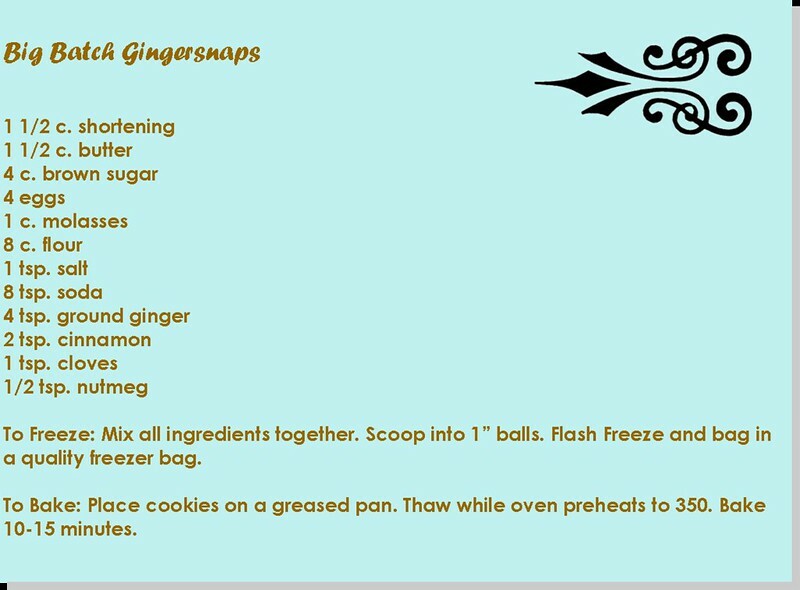 The recipes can be made in the order listed below to keep from having to wash your dishes in between. It's a good idea to save the peanut butter for last to eliminate cross-contamination. If you don't have a heavy duty mixer, you may want to halve the recipes. Flash freezing is simply laying out the cookie balls on a baking sheet, freezing for at least 20 minutes, then bagging them. This keeps the dough balls from sticking together. Hope you give them a try in some capacity and that preparing ahead in this way will help provide for another day's needs. 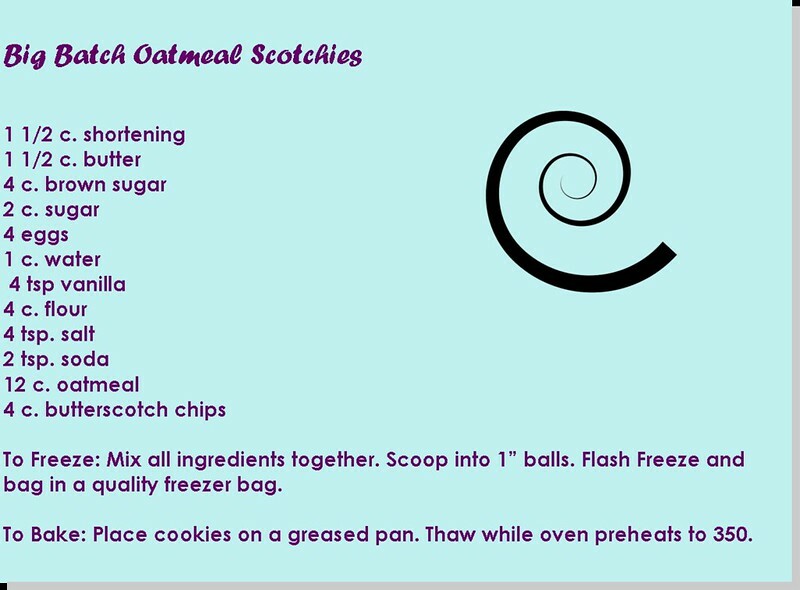 These recipes were shared in the Frozen Assets Yahoo Group, 2004. At the time, I did not note who shared them, but thanks to the nameless ranching woman who lived out west.